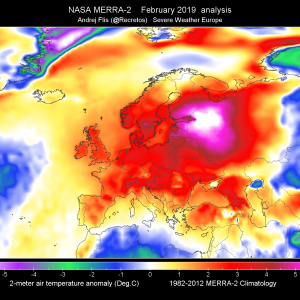 The complex weather pattern across Europe continues. 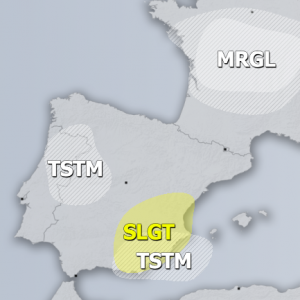 An upper low over W-CNTRL Europe merges with the trough approaching from the west, while several disturbances remain the focus for widespread storms across parts of Europe and Mediterranean. 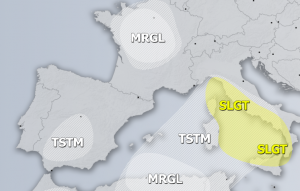 A SLGT+ risk has been issued for extreme NE Algeria into N Tunisia and towards Sicily with threat for large hail, severe winds, torrential rain and some tornado threat. 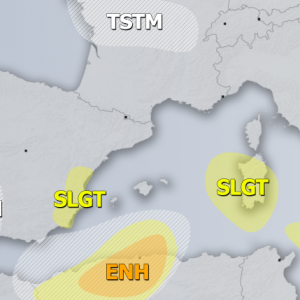 Any isolated severe storms in S Tunisia will have the potential for very large hail and severe winds. A SLGT risk has been issued for extreme N Scandinavia with threat for strong to severe winds in the morning hours. 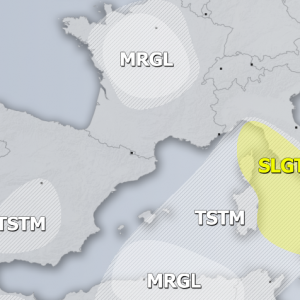 A marginal SLGT risk has been issued for central Balkans with threat for some heavy rain / large hail threat where around 500-800 J/kg of MLCAPE overlaped with moderate shear (40 knots) enhances threat for a few discrete severe storms under the weak trough crossing the region. A TSTM+ area was placed across parts of central Europe where a diffuse boundary stretches from NE Germany across Czech Republic towards western Ukraine. These areas will see widesprad storms where some of them will be organized into multicells and small cluster enhancing threat for heavy rain and marginal hail.